SONAR | Be more than just a blip on the map! When do you use Sonar? Sonar is an award-winning media and creative agency specializing in unique, innovative, and powerful solutions that focus on return on investment and reaching today’s elusive on-the-go customers. Let us show you how we can reach your target audience where they live, work, and play! 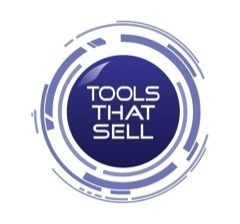 Sonar Builds Tools That Sell! Great creative is absolutely essential to differentiating your organization in today’s crowded marketplace! Design catches the eye, words sell! Our award-winning team are experts in creating tools that are targeted, results-driven, and eye-catching. You need a digital marketing partner that not only understands the customers journey, but also how to develop an online marketing strategy that works. Sonar will help you become known as “the best” wherever prospects and customers may be looking: search, social media, industry media, even email. Sonar has developed and executed successful national, regional, and local media campaigns for business-to-business and business-to-consumer marketers covering all media forms in French and English.